The U.S. stock market is in the midst of a minor panic attack, and it's taking America's favorite stocks with it. Apple (AAPL) and Disney (DIS)are two of the most beloved stocks among regular Joe and Wall Street investors. Both got hammered this week. Apple fell almost 9% and Disney slid nearly 8%. Then there's Netflix (NFLX). The stock has been on fire this year, doubling in value since the start of the year and easily claiming the prize as the top stock in the entire S&P 500. But it wasn't immune from the big sell-off. Investors have sent the stock down over 15% this week alone. Experts differ on whether this is stock market pullback is a buying opportunity or the start of a deeper rut for stocks. 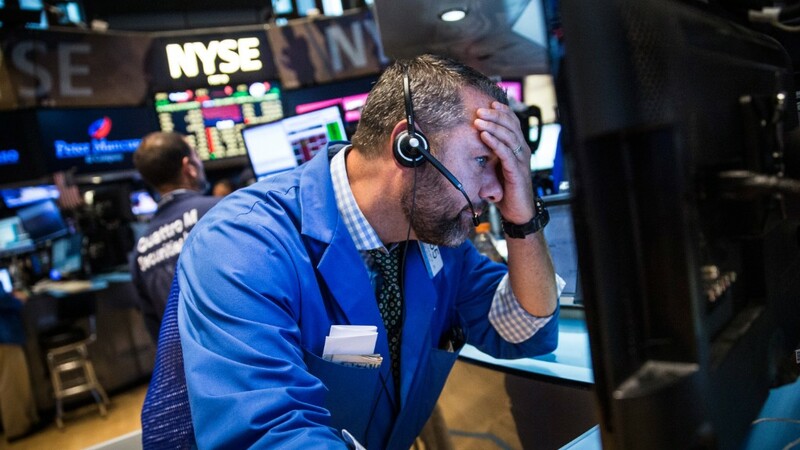 "We don't know if this is the beginning of the correction or a buying opportunity, but it's way too soon to know," says Randy Frederick, managing director of trading and derivatives at Charles Schwab. Keep this in mind: As of Friday, Apple plunged into "bear market" mode, meaning the stock is down 20% from its recent peak in April. Netflix and Disney are almost down that much. That's a big discount. Investors are worried about everything -- China's faltering economy, falling oil prices, the big question mark over the Federal Reserve raising interest rates in September and corporate earnings that just aren't strong enough to justify stocks as such a high level. "There's too many land mines out there," says Tim Anderson, managing director MND Partners. "The earnings picture throughout the rest of the year isn't good enough to sustain itself." China is a major concern for Apple. The company generated nearly 30% of its overall sales from China. If China slows down more, it will definitely hit Apple's bottom line. Investors are also watching iWatch sales closely. They started out strong but there are reports they haven't been sustaining the usual Apple enthusiasm. When the market plunges, it often takes everything with it. Only 15 stocks in the entire S&P 500 index are on track to end the week in positive territory. The stock market isn't yet in a true correction (when the market falls 10% or more from a recent high), but it's close. The Dow is down roughly 9% from its all-time high that was hit in late May. And this is shaping up to be the worst week for stocks since late 2011. Starbucks (SBUX) is off more than 10% from its recent high. Facebook (FB) is down 13% from its peak. Gilead Sciences (GILD), the darling of the biotech sector, has fallen about 15%. Amazon (AMZN), which just passed Walmart (WMT) as America's biggest retailer, is down nearly 15% from its high. Randy Frederick of Charles Schwab cautions that many of these high performing stocks that are now suffering went up way more than the overall stock market did this year. Netflix, for example, is still trading at a very expensive valuation -- over 230 P/E ratio. The overall stock market is at a P/E ratio of about 18. "It's way too soon right now to be a bottom fisher unless you're very bold," he says. The other big loser this week was energy stocks. Oil field company Halliburton (HAL) was neck and neck with Netflix for the title of worst performing stock this week. Oil prices continue to fall. It slipped below $40 a barrel for the first time in six years on Friday. That was a psychological shock to many investors and send a lot of energy stocks down even further. Chevron (CVX), Baker Hughes (BHI), Marathon Petroleum (MPC) and Devon Energy (DVN)all got hit 10% or more this week.